RICHLAND, Wash. – Taste might have less to do with what consumers are willing to pay for wine than you think. In fact, issues like a wine's country and region of origin sometimes had more impact on a person's willingness to pay more for a wine than taste. The trend was revealed in a study by university researchers from Washington state, Minnesota, Hong Kong and Korea. Researchers found through a series blind taste tests that 'nontaste-related factors' may play a larger role in how much consumers are willing to pay for wine in Hong Kong, compared with their western counterparts. Project researchers included Byron Marlowe, a clinical assistant professor in hospitality business management at Washington State University Tri-Cities, and colleagues at the University of Minnesota, Hong Kong Polytechnic University and Gyeongsang National University in Korea, Their results are presented the fall issue of the British Food Journal. The test was administered in three stages. Stage 1: A purely blind tasting test, in which participants received no information about the wine. State 2: Participants were provided with the wine's country of origin prior to the tasting. Stage 3: Full information on the wines, including attributes such as grape variety, region and winery of origin, were provided before tasting. "Most of the wines did fairly well in the first treatment, when all of the individuals were completely blind to the wine details," Marlowe said. "But they do worse when revealed that the wines are from regions that they are not as familiar with or with varietals that they aren't familiar with." Researchers found that revealing the country and region of origin of the wines from Iowa and Wisconsin had a negative effect on how much participants were willing to pay per bottle. Customers indicated they would be willing to pay an average of $2.70 to $4.80 less per bottle than the designated stated retail price for the wines. For example, if the wine's stated retail price was $24, then the customer would be willing to pay potentially $2.70 to $4.80 less than that price, or $21.30 or $19.20 per bottle. Marlowe said this is probably because those regions are not widely known as wine grape-growing regions, and also not for wine production. "All of a sudden, when participants know they're drinking a wine from the Midwest, where cold and hardy varietals are grown, their immediate response is to rate it lower than wine from a more well-known region," he said. Similar results were shown for the wines from Germany and Argentina, although further analysis found the two countries to be less effected by perception of region. Researchers also realized that female participants in the study seemed to have higher willingness to pay than males. Younger consumers also appeared to have higher willingness to pay than older consumers. 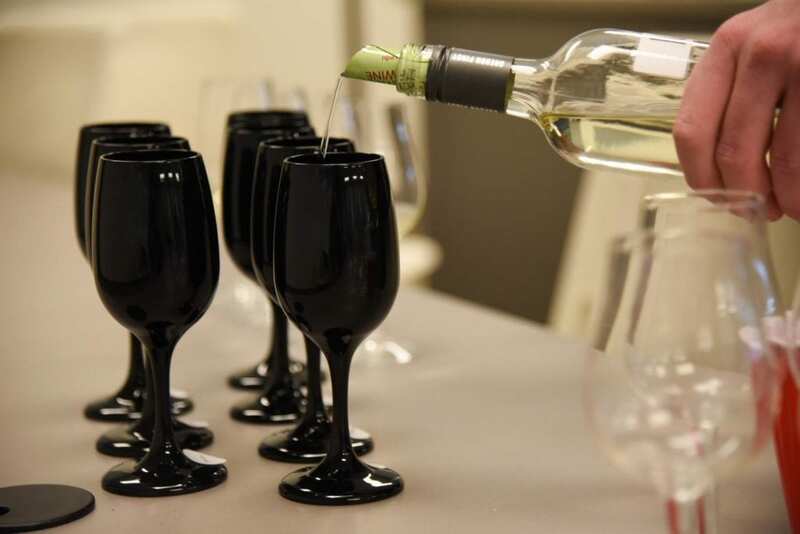 Additionally, "novice drinkers" or those who had wine rarely or less than once a month, relied mainly on country of origin information in their wine evaluations, as compared to "expert consumers" or those who drink wine more than once a week and who relied more on sensory quality or taste, according to results of the study. Although results of Hong Kong participants follow similar trends as those who participated in similar studies in western countries, results also suggest that cues unrelated to taste play a larger role in the evaluation of wine in the Asian market, especially for novice wine drinkers, as compared to western societies. Marlowe said these points warrant attention as wine consumption and popularity continues to grow in Asia, and specifically Hong Kong..
"Teachers, wine scientists and marketers can use these details when marketing wines for Asian countries, as well as in educating individuals in those areas about wine origins and attributes," Marlowe said. "A wine produced in the Midwest in the United States may be a premium wine, but if there is a perception that it is less than, we need to overcome those factors through marketing and business tactics to help promote those wines."